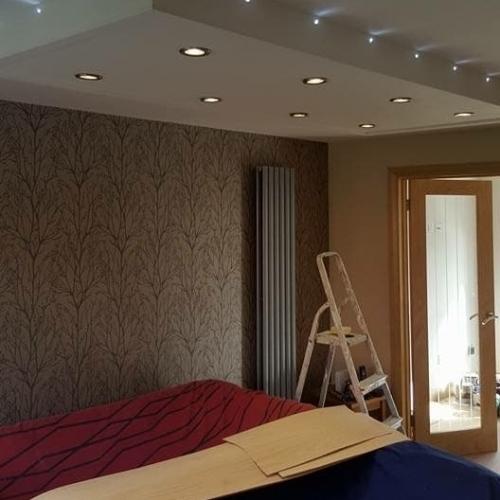 JB Construction operates throughout North London and surrounding areas, My construction company is dedicated to completing your project (large or small) with quality results, on time, and within your budget. Our aim is Meeting your Needs. Specialising in kitchen planning, supply and fitting. Specialist bespoke made to measure cabinet making and shelving. Bedroom Wardrobes, dining room alcoves between chimney breasts. John designed and installed our kitchen units a few years ago. He was excellent at suggesting how to utilise the space available with bespoke units. John was very professional, approachable and his customer care was definitely a priority. He was very prompt at sorting out any snags. I would have no hesitation at recommending John and his team. I would definitely use him again. I would again use his company in the future. John was prompt on time and completed the work neatly as discussed in a timely manner and was very polite. He did a very good job and I would again use his company in the future. Prompt, couteous and did a good job on time & within quote. JB Construction Barnet Ltd attended my property again for the second time as I was so pleased with the previous work, John fitted all new internal oak doors for me. Once again excellent work, extremely good tradesman. John's carpentry skills are perfect and I would not want anyone else working in my home.